Great blog, Victoria. 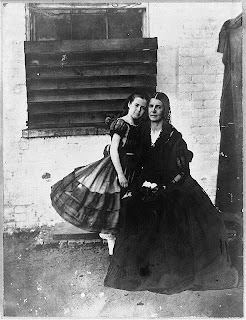 The women of the U.S. Civil War have provided lots of fascinating stories. They deserve to be heard. Thanks for a great article. As a Canadian I don't get to hear about the great women of our southern neighbour! Thanks for teaching me something new today! Love Civil War history. I'd heard this story before, but never her tragic end. Very interesting -- and sad. Hi Victoria, what an educating and fun to read article. The Civil War is one of my favorite era's to research and read about. Thanks for posting. 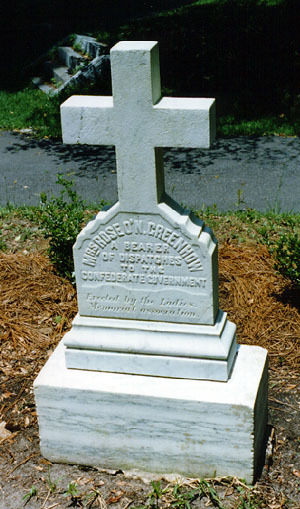 Victoria, as a lover of Southern history, I found this post most intriguing. I too had heard of Rose, but didn't know "the rest of the story." Thanks for sharing. This is a fascinating story, Victoria! Anyone who reads factual accounts of the men and women who lived during American Civil War will never run out of stories to tell. Rose Greenhow had a fascinating life. So many bold experiences...such a shame her life was cut short by tragedy. Another great post Victoria! I agree it is a shame her life ended so early, there's no telling what she could have done. Even today, female spies are something to be admired, but back then it seems even more the stuff of fiction. I would have loved to talk with her. What a great Blog Victoria, I found it very informative. You certainly have to admire the courage of such women. What a great post. I love stories full of mystery and intrigue, and to know it was real, and that a woman carried it out. Amazing. It reminds me of an episode of Decoded with Brad Meltzer on the History Channel. He did a show about the Culper spy ring during the Revolutionary War. There was a mysterious female agent who, if I remember correctly, was instrumental in stopping Benedict Arnold. Thanks so much for sharing this. This was a fascinating blog. I love history, and can't understand why so many people consider it dull and unexciting. I look forward to reading more of your posts.